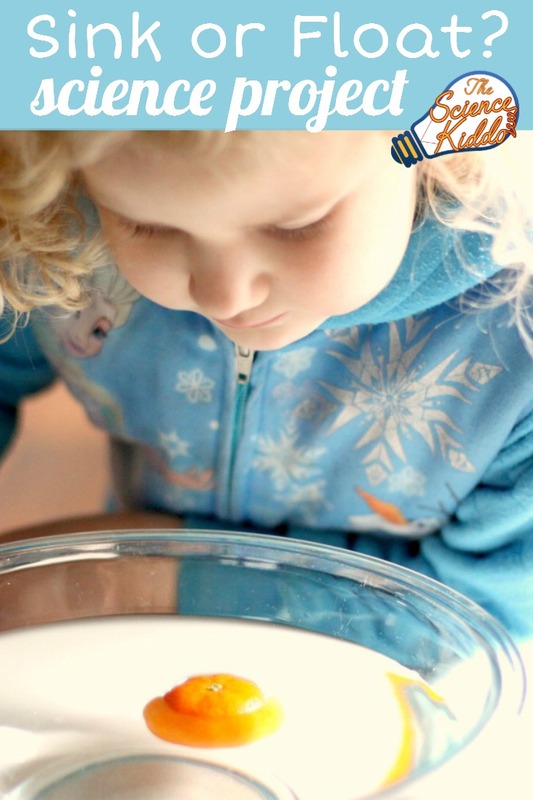 One day during snack time my preschooler asked, “Does fruit sink or float?” That afternoon, snack time turned into a fun and easy kitchen science experiment that yielded a few surprises for all of us! There were only a few things we needed to set up in order to do our fruit sink or float experiment. First, we filled a large bowl with water. We used a clear bowl so the kids could easily observe the fruit, but any large bowl will do. Next, we gathered a few samples of fruit from our kitchen. We had bananas, oranges, apples, and grapes available, so that is what we used. You could use any kind of fruit, or vegetable for that matter! I printed out our fruit sink or float chart so the kids could keep track of their observations. It’s always good practice for the kids to keep notes during their science experiments because it helps enrich their learning. It also helps them get into good habits that real scientists practice! Does Fruit Sink or Float? We wanted to find out what happens when we put fruit into a bowl of water. On Playdough to Plato we saw that the buoyancy of an orange is different, depending on whether or not it is peeled. This led us to wonder about the buoyancy of other fruits, with and without peels. Before immersing each fruit in the bowl of water we made a hypothesis of what we thought would happen and recorded it down on our chart. We tested each fruit, one-by-one, first with the peel intact, and then without the peel. The results were actually pretty surprising! 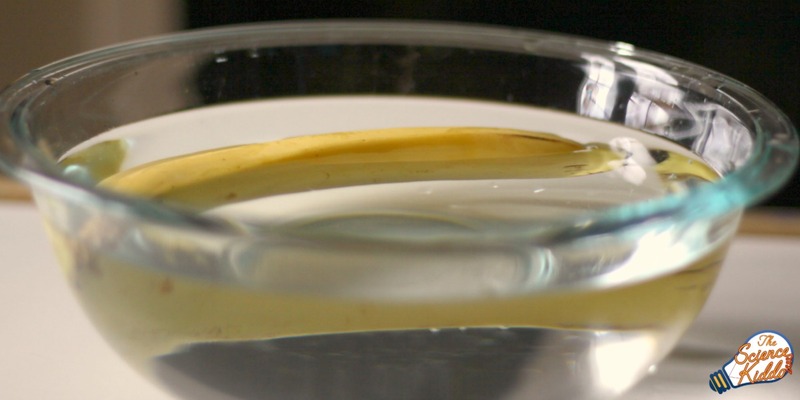 When we submerged a banana in the water we discovered that part of it seemed to sink and part of it seemed to float, with and without the peel. My preschooler suggested we cut the banana up and see if the small pieces sink or float. It was a fantastic idea that yielded mixed results! It turns out that some parts of the banana are actually more dense than other parts. So cool! 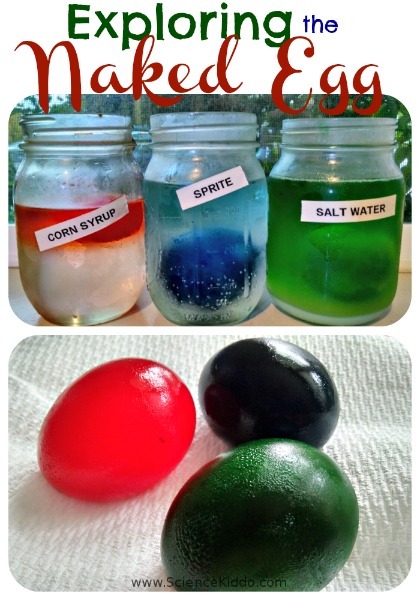 This activity can easily be turned from a simple kitchen science experiment into a full-blown science fair project. All that is required is that the scientific method be followed. Ask a Question. Some examples may be: Does Fruit Sink or Float? 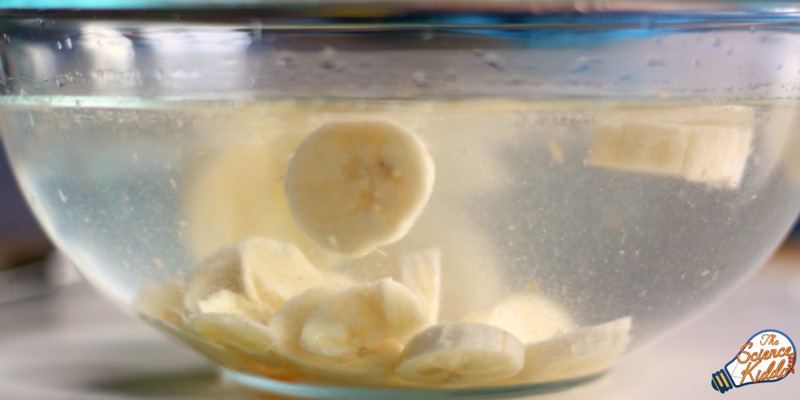 Does Peeling a Fruit Change its Buoyancy? Do Background Research. Choose a few fruits and do some background research. How much air does the fruit contain? Are there empty spaces that trap air that may make it float more easily? How much water is in the fruit? Form a Hypothesis. 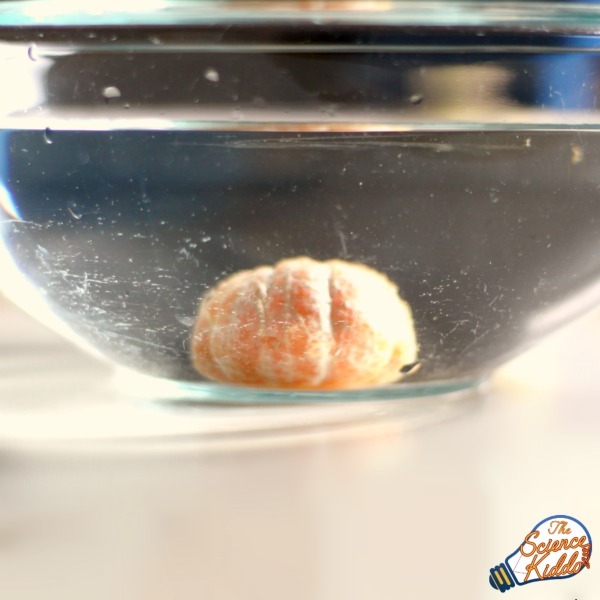 Make an educated guess about whether a fruit will sink or float. Experiment. 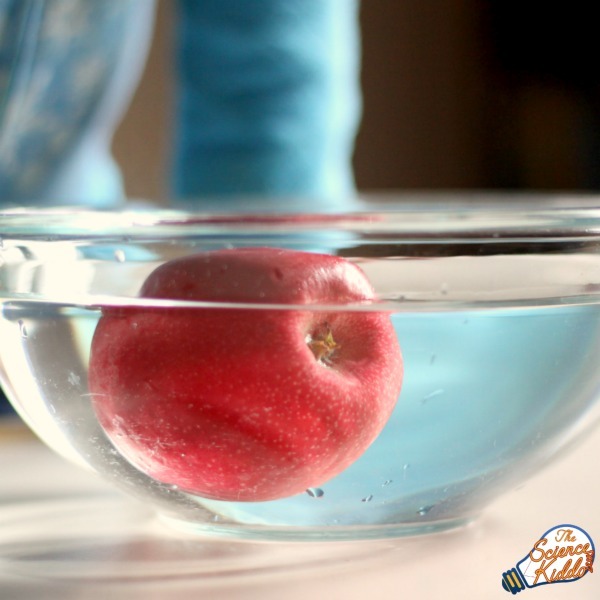 Test the hypothesis by putting each piece of fruit in water and observing what happens. Keep track of the results on the free chart available above. Analyze the Results. Was the hypothesis correct? Why or why not? What other tests can be run? Form a Conclusion. Why did the results turn out as they did? Answer the question that was asked at the beginning. 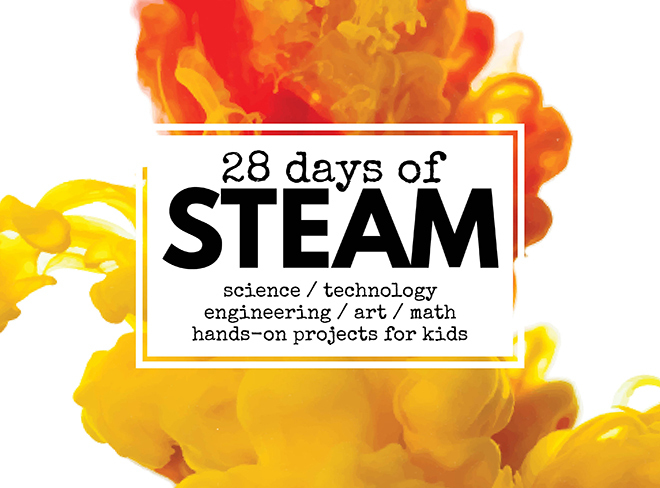 This month we are sharing over 60 STEAM (science, technology, engineering, art, and math) projects from the most creative bloggers on the web! There are posts containing free STEAM printables, more science fair projects, STEAM activities inspired by books, and nature STEAM. Click on the picture below to access this awesome collection!